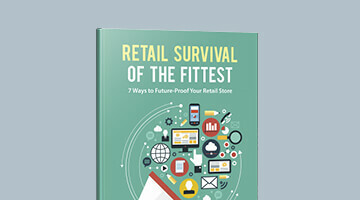 Learn the 7 secrets to find a reliable POS system, and avoid the costly mistakes most retailers make when choosing a new retail platform. Define the needs of your business. 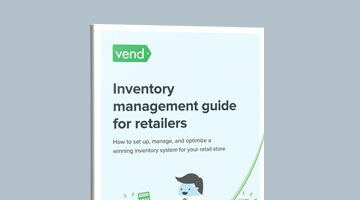 In this section we help you identify all the features, functions, and services that you use to run your business - the important stuff like your checkout process, inventory, and customer relationship management. Already have a POS in place and thinking of upgrading? Identify the features that are missing in your current system and take note of any problems that you’ve had. Look into any improvements that you could make. Are there any cumbersome tasks in your business that need to be simplified? Write those down. It’s best to talk to your employees as well. What upgrades can you implement to improve productivity and efficiency in your staff? "It’s so important to map out the systems from your customer creation, through sale, inventory adjustment and connecting into your accounting system. We find that our clients who do this, pick the right systems and strip the overheads out of their business, almost completely." Take note of the required hardware. Here’s where we work out what you need to make your POS work. Some systems require you to buy hardware, others operate on your existing equipment, others still only need an iPad or laptop. Which will be right for you? Itemize the equipment that you need in your store. Be sure to include the number of units required for each piece of hardware. Already have existing hardware and equipment in place? Write down each item’s brand and model for future reference when looking up various POS systems to see if they’re compatible. "No matter what type of POS hardware you want to work with, start by evaluating and selecting the software first. Then choose peripherals from that vendors approved list." The costs of POS systems vary, depending on the size of your business (number of stores, customers, products, registers, etc.) and the capabilities you require. Generally speaking, for traditional desktop-based software, a single-user software license comes with a price tag ranging from $1,200 to $2,500. Prices for modern cloud-based POS systems start anywhere from free, for a basic system, through to $50-$200 per month depending on the size and complexity of your business. Your choice on whether to go with a one-time licensing fee or a recurring SaaS model will depend on the nature and finances of your business. A licensing fee might free you from any recurring payments but will usually require a long-term contract and it won’t be as flexible as its subscription-based counterpart. A SaaS model on the other hand, offers a more scalable solution that can be upgraded, downgraded, or cancelled at any time, making it more ideal for businesses that are growing or constantly changing. "Ecommerce startups are competitive because their costs to get started are low. The beauty of modern POS systems, is that budding entrepreneurs can now also bootstrap a retail business with just a good idea and an iPad, which means getting to market and finding your first customers faster." Audit and compare POS systems. Do your research on the POS solutions out there. This is the section where you need to get some industry feedback and learn about the experiences of other similar retailers. If this was a game show this is the bit where you phone a friend and ask the audience. Talk to other retailers in your industry about their POS system and ask them how it’s working for them. Conduct an online search and check out the websites of various POS vendors. You can also turn to LinkedIn. Start a discussion on relevant groups and ask your fellow merchants about POS solutions that they recommend and why. Call POS vendors yourself and ask about their products, services, and company in general. Take note of where they’re located and ask about their business and support hours. Also remember that customer service matters a lot, so get a feel of their support team as well. "If the POS vendor is popular, then there will be a wealth of actual customer experience data about them on the web. Your job is to find that data and sift through all of it. Read as many customer reviews as you can and look for patterns, whether positive or negative." See the POS in action. You know what POS systems are all about on paper, now it’s time to see them in action. The easiest way to do this is to request for local references from the POS vendors that you’re considering. Reach out to these businesses and request to see how the POS works. Can’t get in touch with other businesses? Go the DIY route and ask for a free trial instead. Most POS vendors let customers try their software for free, so they can see it in action first-hand. Keep an eye out for speed, functionality, and user-friendliness of the each POS solution. Also think about how you will transition to the new POS. How does the process of transferring data about customers, products, suppliers, etc. work? Ask other retailers how they did it or request to see a demonstration from the POS vendors. 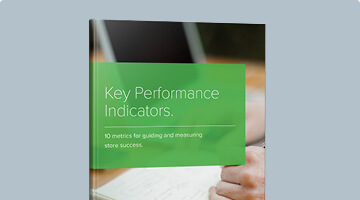 "Reporting is a major factor when deciding the future direction of your retail business. When choosing a POS system, make sure the reporting features are comprehensive and use them to make accurate insights into your business, which in turn helps drive revenue." You’ve chosen a POS vendor and you already have all the necessary software and equipment in front of you. Now it’s time to get your new system up and running. Your set-up process will vary, depending on your POS solution as well as the size and requirements of your business. Your POS vendor should have provided instructions on how to properly install and set-up the system but when in doubt, talk to your vendor about how to do it. Let them walk you through the process to make sure that you get everything right. If you need further assistance, see if you can use a template or dummy account, first. You can also ask your vendor if they have any IT or technology partners in your area. Established POS vendors usually have networks of IT consultants and SMEs that can help customers set-up and implement their new solution. "Whether you are switching systems or implementing a POS system for the first time, the transition should be as seamless as possible. Test the system during “down time,” and make sure your employees are trained in using the system before you make the transition." Make the most of your POS system. Once you have your new POS system up and running, it’s time to find ways to make the most of it. Look into apps, add-ons, or hardware that can enhance your POS and make your life easier. It’s a good idea to start seeing your vendor as more than just a service provider. Make an effort to establish a relationship with them. See them as a long-term partner that can help you expand your business and expertise. Don’t just contact them to seek technical help. Also inquire about any free resources that they have for their customers. Do they conduct trainings or seminars? Perhaps they can send you free whitepapers or online courses. In any case, asking for these things is completely free and takes minimal time and effort. A good POS system will save you time, money, and will help you know more about your business so you can make make better decisions. 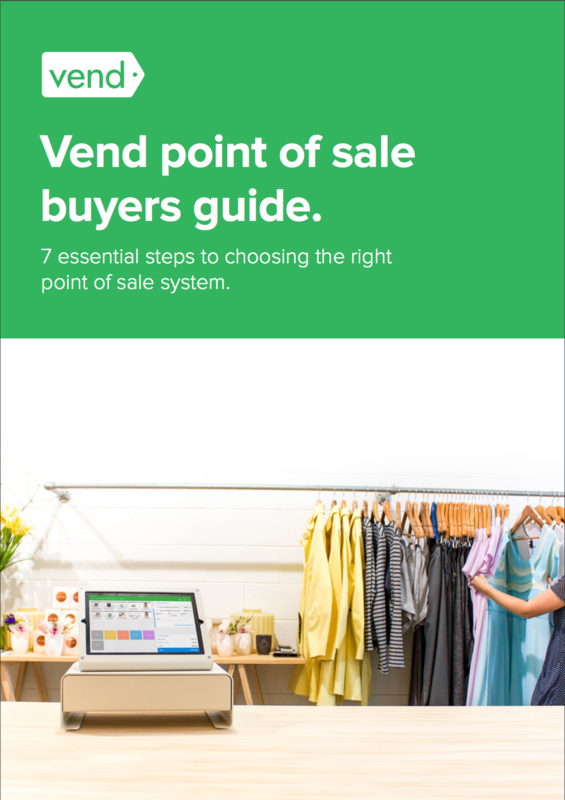 Download your free copy of Vend’s POS Buyer’s Guide now.